Summer in Whistler brings out the youngins, as most of them are out of school and looking for interesting and exciting ways to spend their time. Thankfully, there seems to be endless activities for kids all summer long in Whistler. 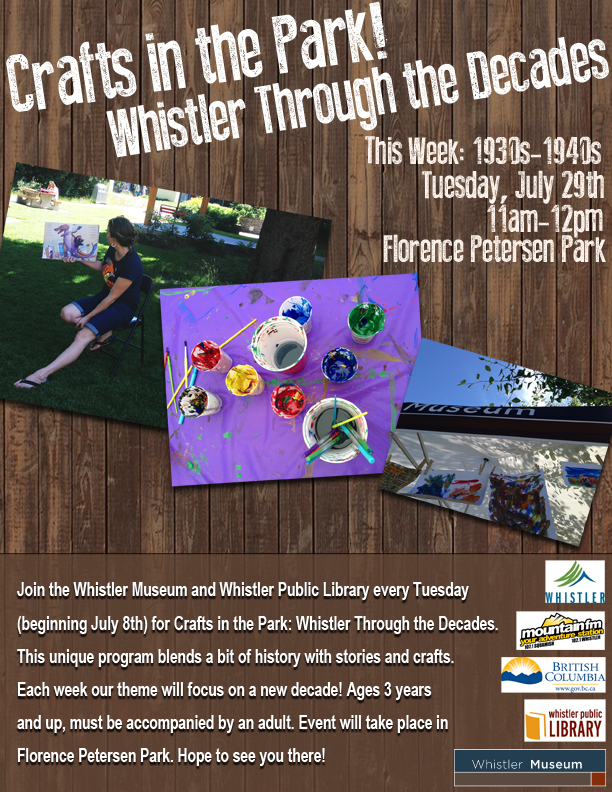 The Whistler Museum has been joining in on the fun, hosting crafts at Whistler Children’s Festival and starting our own pilot program, Crafts in the Park: Whistler Through the Decades. 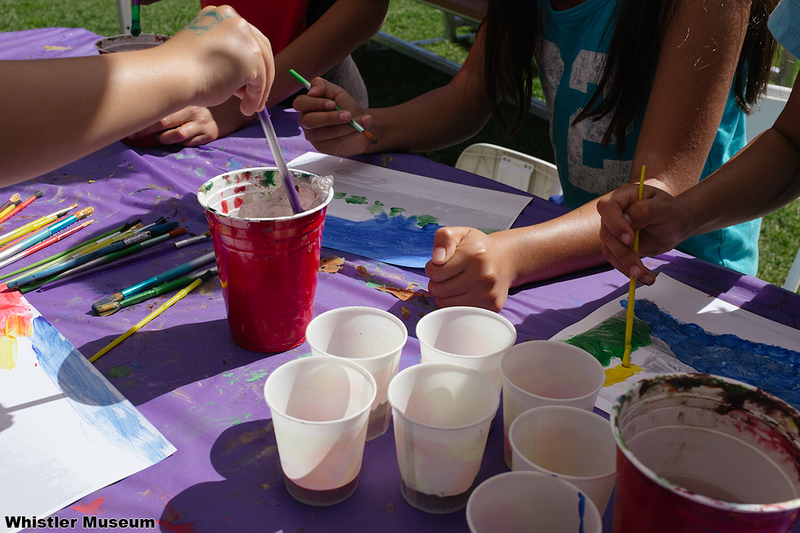 Crafts in the Park is held every Tuesday in July and August, in Florence Petersen Park. This unique program blends a bit of history with stories and crafts. 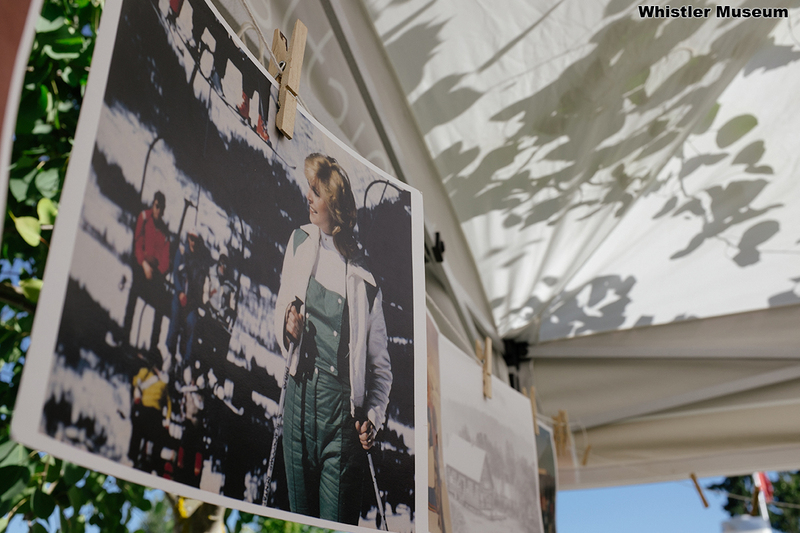 Each week our theme focuses on a new decade in Whistler’s history. The crafts and stories are best suited for ages 3-12, and children must be accompanied by an adult. This week for Crafts in the Park, we’re focusing on the 1930s and 1940s, so we’ll be getting back to our photographic roots and hand-painting images from those decades. We love this craft because, well, kids love it, and because it incorporates a whole lot of history! Before colour film, colour was sometimes applied to monochrome (often referred to as black and white) images by hand-painting. Hand-coloured photographs were most popular from the nineteenth to mid-twentieth century, and the Whistler Museum is lucky to hold some great examples of the process in our collection. To learn more about the process and to see some of those examples, check out our blog post Pioneers in Colour. Not only does this craft entail a somewhat lost art of early photography, it also gives kids a chance to work with historical images of Whistler. We’ll have a variety of subject matter to choose from, broadening the appeal to just about everyone. Hope to see you there! 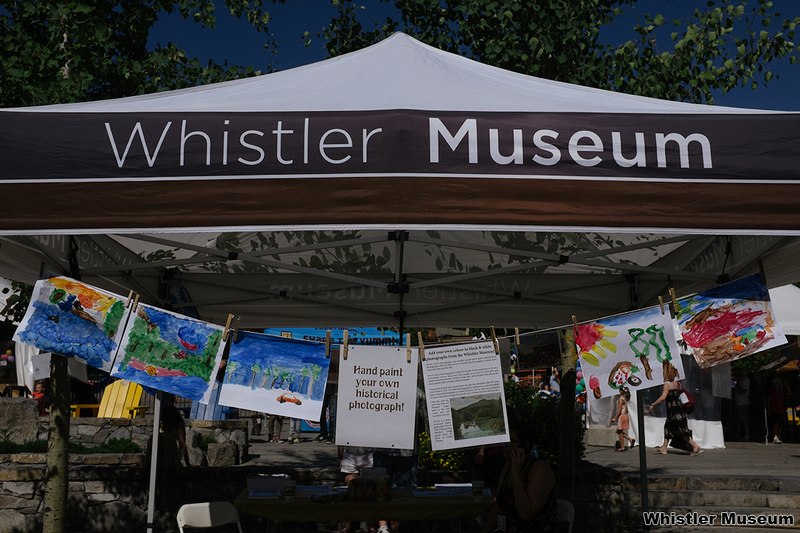 This entry was posted in News & Events and tagged Children's Art Festival, crafts, Crafts in the Park, Events, Hand-painted photographs, Whistler. Bookmark the permalink.